Please check your spam folder, as it may have been an unrecognized email. If it’s not in the spam folder, please email usa@synergyo2.com and we will gladly resend the welcome email. SynergyO2 is a one step detox. small and easy to carry around in your purse or pocket	simply put a few drops in water or juice 3 times a day or combine the drops in your morning water and you are good to go for the day	doesn’t get easier than that! Q: I would like to buy printed materials from synergyo2, can i do that? Q: Do I need to be a member to order SynergyO2 products? Yes. Although we ship membership paks fedex ground and they do not deliver to p.O boxes	If you have a p.O box we will use the method of shipping for your order. Yes!. If you're already member then you can download the app synergyo2 for Android and IOS from your backoffice. 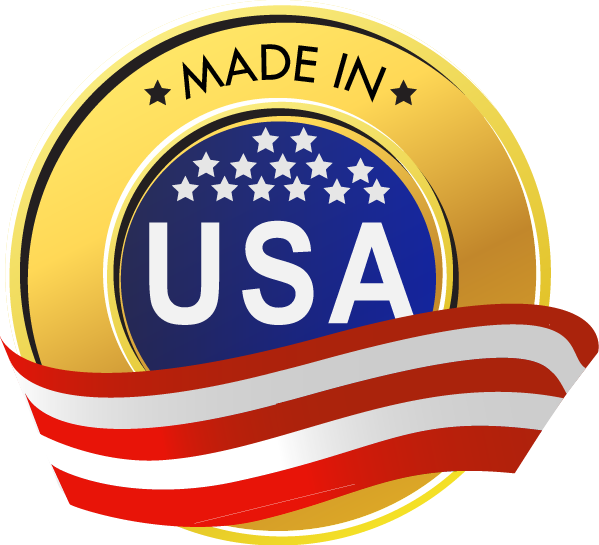 Q: Are SynergyO2 products FDA approved? SynergyO2 are dietary supplements and do not require FDA approval. SynergyO2 products have a combination of Ionic Minerals that come from rich humic deposits in the North American Rainforests, as well as deep, pristine ocean waters of New Zealand that are carefully selected for high standards. Q: How are the minerals extracted? Minerals from the rainforest and ocean are obtained organically through a water based extraction process using advanced equipment. Q: Can I drink SynergyO2 undiluted? No, always dilute it in water or juice, preferably in 16oz of water. 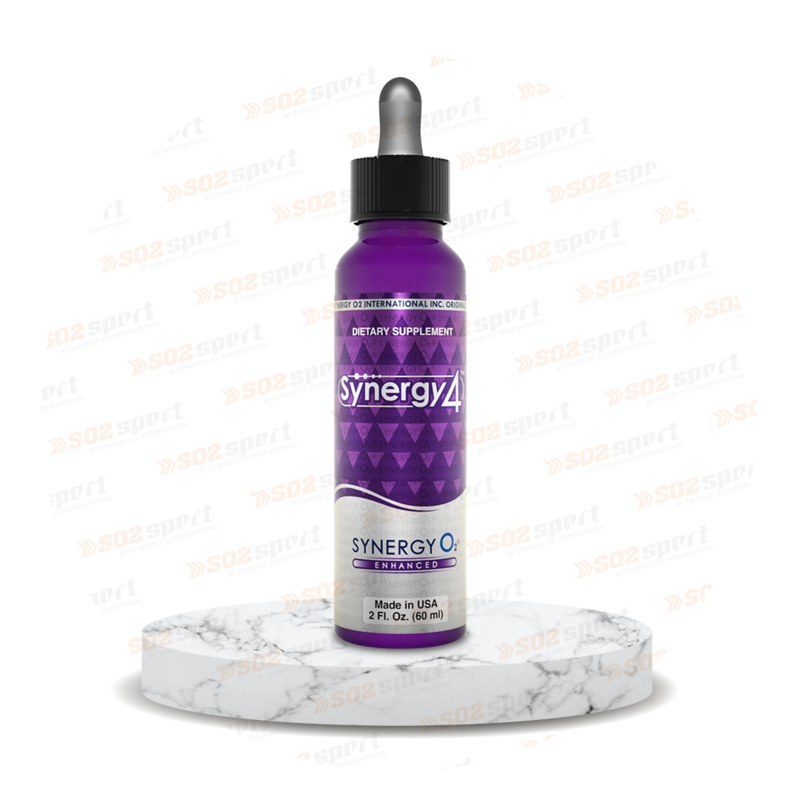 SynergyO2 is unlike any other supplement out in the market. It is an all-natural supplement that can help your body detox on a cellular level but will also put in the good things we are lacking. Most detox products deplete your body from key nutrients. SynergyO2 takes out the bad while replenishing the good. SynergyO2 is a one step detox product. Q: What to expect when taking SynergyO2? This is a natural part of the detox process.This is temporary, and it will go away in a few days. SynergyO2 products have been tested by an independent lab and It is 100% safe to use. Q: Who should take SynergyO2? No, take SynergyO2 as a daily routine to keep in check. >	Not only does it have a detox effect but it's preventative. It will make your body work like it was meant to work, you won't believe how you will feel once you are mineralized and have proper hydration in your body. Using SynergyO2 on cuts and scrapes helps them heal faster! Again, always dilute with water before applying. Because as we all know, our bodies are constantly being attacked by toxins in our food, water, air and other pollutants. We are more toxic than ever before. It’s not your fault, but it’s up to you to do something about it and transform your body inside and out. A toxic body needs a cleansing from a cellular level and that's one of the things SynergyO2 is capable of doing for you. A toxic body experiences constant fatigue, a slow metabolism, digestive disorders, weight gain, immune issues, among other health problems. Therefore, it is vital to go through a detox process in order to be fully healthy. Q: What are the everyday benefits of taking SynergO2? 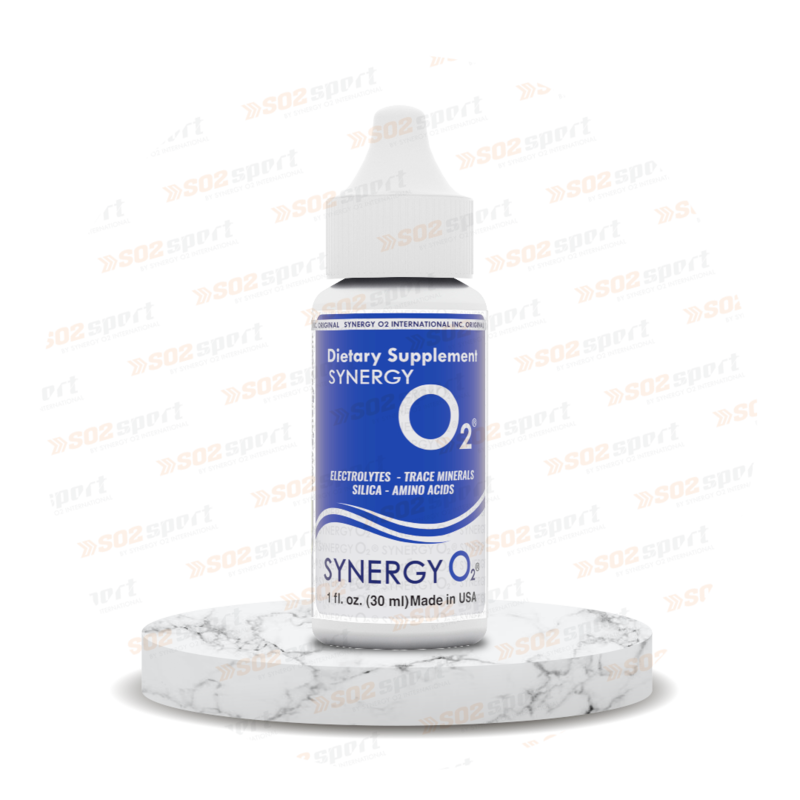 Q: How is SynergyO2 going to supply my body with the right amount of oxygen and hydrogen? 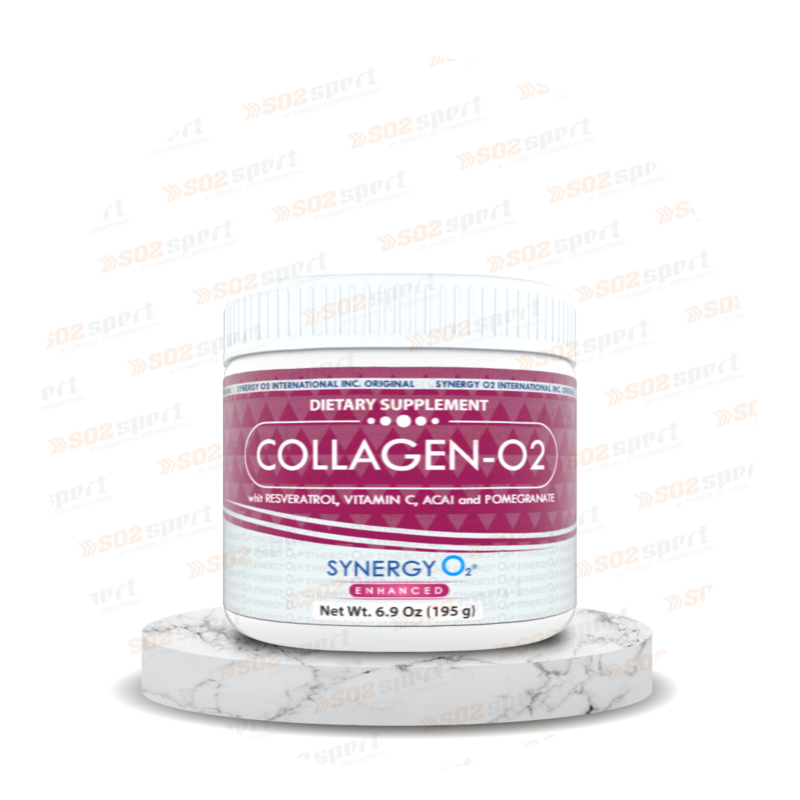 SynergyO2 revolutionary formula employs an innovative technology not seen elsewhere. From the very moment SynergyO2 gets into your bloodstream, your body starts the whole process. The body has the ability to weaken the bond between two atoms that form a water molecule. SynergyO2 technology splits a water molecule into atoms of hydrogen and oxygen, this last one negatively charged (-). Free radicals are unstable oxygen atoms positively charged. Opposite charges attract themselves, causing the atoms to bind. The result is a new and totally safe oxygen molecule bioavailable at a cellular level in the body. Q: Is SynergyO2 a medicine? No, it is a natural dietary supplement without any side effects. SynergyO2 is not a medicine, and SynergyO2 makes no medical claims or otherwise for the treatment, prevention, cure or mitigation of disease. SynergyO2 is a nutritional supplement, it works with the body’s priorities and starts working where it is most needed. Therefore, because everyone is unique, we cannot prove that SynergyO2 causes any specific effect. We can, however, tell people about others’ experiences; and there are several testimonials. We, therefore, never make any medical claims, so that we are not in violation of the present regulations of the Medicine Control Council. Q: Is this supplement only targeted to sick people? No, anyone can enjoy all of its benefits. Q: How do I take SynergyO2? You should take it 30-40 min before starting your daily routine. If you're trying to lose weight, take it 30 min before each meal. Q: How does my body absorb SynergyO2? First off, you need to drink SynergyO2 with water. Then SynergyO2 technology splits a water molecule into atoms of hydrogen and oxygen, this last one negatively charged (- ). Free radicals are unstable oxygen atoms positively charged. Opposite charges attract themselves, causing the atoms to bind. The result is a new and totally safe oxygen molecule bioavailable at a cellular level in the body. A healing crisis is also known as detox crisis, the cleansing reaction, and the Jarisch-Herxheimer reaction. During a healing crisis, you can feel even worse than before you started your detox program. The good news is that this reaction is likely a sign that you’re getting better by way of a deep and thorough cleansing. When you cleanse your body, the toxins dislodge and the bacteria die off and release endotoxins. When the toxins and waste are dislodged, the body begins to flush them into the bloodstream to be filtered and eliminated. Because SynergyO2 works in a natural way at normalizing and balancing the body, we must encourage users to continue taking SynergyO2, and become more “tuned in” to the less noticeable but more significant changes in their bodies. Q: What is the shelf life of SynergyO2? By FDA Law we must provide a “best if used by date”. 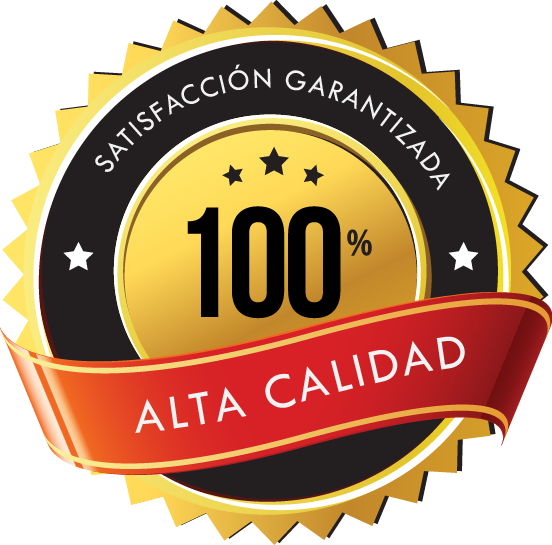 When you buy the product we recommend you take it over a 3- year period. However, SynergyO2 technology remains the same, you can still enjoy all of its benefits even if you take it after the date stated on the bottle. Q: How is SynergyO2 different from other detox products? Why do I need SynergyO2? No other product offers such a radical change in your body as SynergyO2 does. Once you see and feel the benefits you will understand why SynergyO2 is the only supplement you will ever need. The technology of SynergyO2 detoxifies your body, boosts your energy levels and may help you lose the weight you've been meaning to. SynergyO2 gives you the essential nutrients your body needs to work at an optimum level. Also, SynergyO2 nourishes your cells and eliminates all types of toxins harming your body. Q: How natural is SynergyO2? Q: Do I need to take SynergyO2 with water only? Not necessarily. You can take SynergyO2 with other drinks of your choice, such as juices, teas, etc. You only need to make sure you're adding it to 16 oz. of liquid in order for it to work well. Q: How much SynergyO2 should I take? In order for SynergyO2 technology to work properly, you need to take 8 drops three times a day. You'll start feeling the desired results in a short period of time. However, listen to your body requirements and take it when you sense that you need to. Q: Can I take too much SynergyO2? Absolutely not. SynergyO2 is completely safe to use in any amount you desire. It has been proven that SynergyO2 produces no harm at all when taken in different dosages. Q: Who can benefit from taking SynergyO2? "Everyone" can benefit by taking SynergyO2. Many doctors are advising their patients to take SynergyO2 as a supplementation to other medications, remedies or supplements they may be taking. SynergyO2 makes the other preparations more bio-available in the body. There are testimonials about the benefits of taking SynergyO2. 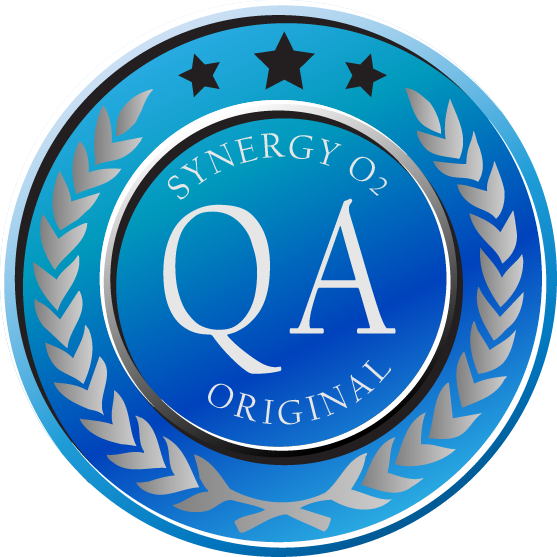 Q: What else can SynergyO2 do for me? Apart from detoxifying your organism, SynergyO2 raises the frequencies of all organs, making them more resistant to the lower frequencies of viruses, bacteria, parasites, etc. When the “water-splitting phenomenon” takes place, the nascent hydrogen atoms contain enormous supplies of positively charged electromagnetic energy. This hydrogen recharges your body.